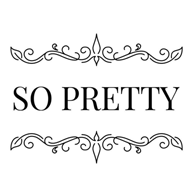 So Pretty is online store which imports high-quality hammam-towels directly from Turkey. Our collection contains 100% cotton and bamboo/cotton fiber hamam-towels, bath towels, hand towels, bath robes and dresses, bath-ponchos and clothes. Hamam-towel is So Pretty’s main product. The Turks have used the hammam towels to cover their bodies in traditional Turkish steam baths, already centuries ago. Today, the hammam towel can be used in many different ways. It can be used as a traditional towel, scarf, tablecloth, blanket, or even a sofa cover. Hammam towels are made of comfortable soft 100% cotton and has a wide range of colors & patterns. Thin and lightweight towels dry very quickly, they are super absorbent and bigger size than traditional towels. But folded to fit into a very small space. Hamam towel is easy to pack along the trip. For example, you can take it to the boat, cottage, swimming trip or even for a picnic as picnic blanket, during the summer months hamam towel is the perfect choice to take along to the beach. You can use it also as a pareo, shawl, sarong, turban or as a beach towel for sunbathing. They are also ideal for travelling. The soft hammam towels are also very good for baby care, as well as the protection on the changing table. The hammam towel is eco-friendly, stylish and multi-functional. Our selection contains also bamboo fabric made anti-bacterial, dreamily soft, thin, light-weight and super absorbent hammam towels. So Pretty also offers a high-quality silver coated, hand-made jewelry made in Turkey. Every piece of jewelry is unique. The range includes necklaces, bracelets, ankle bracelets, rings, earrings and belts, all are nickel and lead free. We have also products for children. The colorful robes, bath-ponchos and the clothes are made either from a soft 100% cotton or anti-bacterial bamboo.